Juicing fruits and vegetables is a great way to get right to the vitamins and nutrients, but sometimes your juice just won’t cut it. Sure it’s healthy, and yes it tastes great, but when you need sustenance you’ll look for something a little more substantial. A richer fruit. We all turn to green juices for their ultimate health benefits. Simply adding spinach gives juices this green color that promises health benefits. When we’re looking for healthy green foods we reach for avocado because of its amazing health benefits. But how do you juice avocados? Like bananas, avocados are a dense fruit filled with nutrients. Avocado is the second highest food that has monounsaturated fatty acids content at 20%, as well as a high level of potassium, iron, copper, and other blood-helping minerals. Avocados are also packed with vitamin A, several B-complex vitamins, especially B3, powerful antioxidants like vitamins C and E, folate. Eating avocados is one of the healthiest ways to get calories that keep you going. From boosting your immune system to fighting cancer, this stone fruit has a number of health benefits. This is one way of making a delicious juice with avocado that I’m sure you will love. 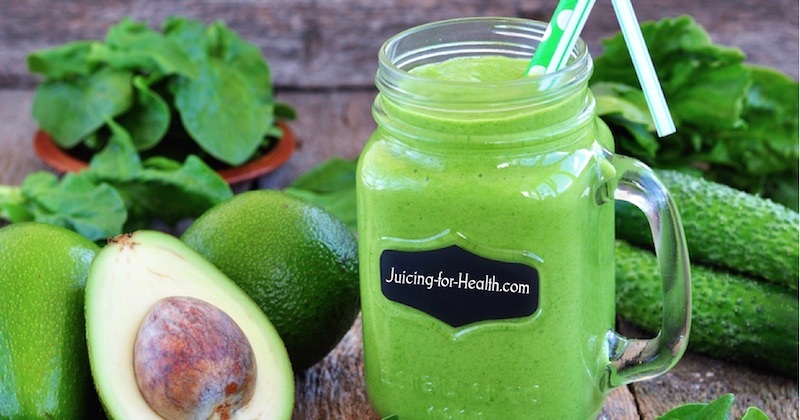 You can add avocado to any green juice that you like! The delicious creaminess of fresh avocado not only tastes good—it does good. Juice all the ingredients with your slow juicer, except the avocado. Transfer the juice to your blender and blend with the avocado until completely smooth. Serve and drink immediately. With avocado added to this drink it offers potent benefits. 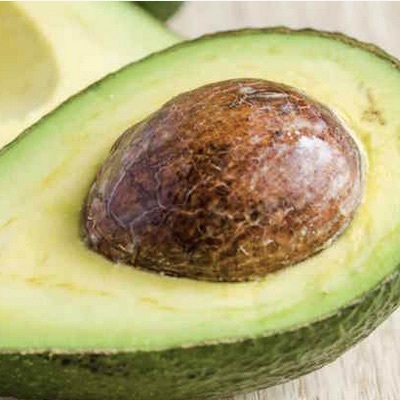 The high potassium and folate in avocado regulates your blood pressure and protects your body against circulatory diseases, heart problems and stroke. Oleic and linoleic acids in avocado lower LDL cholesterol and increases HDL cholesterol. Essentially, it gets rid of the bad and replaces it with the good. Studies show that consuming avocado with other fruits and vegetables helps your body absorb the beneficial nutrients in the other juices. This alone may make eating avocados worthwhile. The antioxidants in avocado neutralize free radicals that harm your cells, and may even be helpful for improving your eyesight. Neutralizing free radicals also helps to fight against cancer. Studies have shown that phytonutrients unique to avocados help prevent the growth and spread of prostate cancer cells and may even help repair damaged cells. Avocados present us with so many health benefits from across the board, so introducing them into your diet whenever you can is highly recommended. Remember, avocados need to be blended, so juice your fruits and veggies first, then transfer to your blender and blender your avocado until smooth. You can do this with almost any juice!